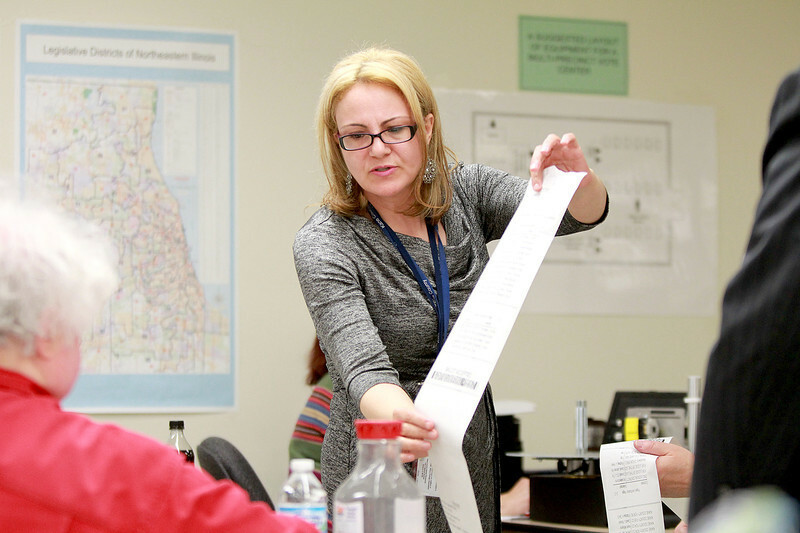 Suzanne Fahnestock, Director of Elections for Kane County, shows a vote tally during a discovery recount of the March 18 primary election at the Kane County Clerk's office in Geneva Monday morning. Kane County Associate Judge Marmarie Kostelny and Geneva attorney D.J. Tegeler were both seeking a vacancy in the 16th Judicial Circuit. Kostelny lost the election by seven votes.